Thursday, February 18th, 2016 | 6:10 pm	and filed in peff. One of the exciting surprises of NAMM 2016 was the announcement of the Oberheim OB-6, a collaboration between Tom Oberheim and Dave Smith. Once again I find myself immersed in analog glory as part of the sound design team developing presets. 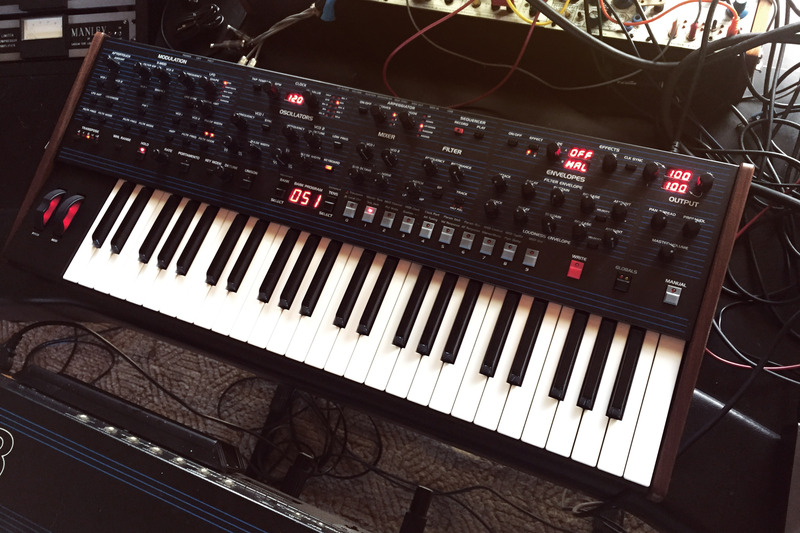 The profile of this keyboard is the same as the DSI/Sequential Prophet 6, and uses similar technology for the general interface and control architecture, however the voices are akin to the Oberheim SEM and have the inimitable SEM filter flavor. Because the 12db/oct filter architecture is different than say a moog ladder or the Prophet6 24db/oct filter, developing a diverse range of unique sounds poses a little challenge, but using oscillator detune approaches and frequency modulation (X-mod) opens up a really amazing range of timbral combinations.